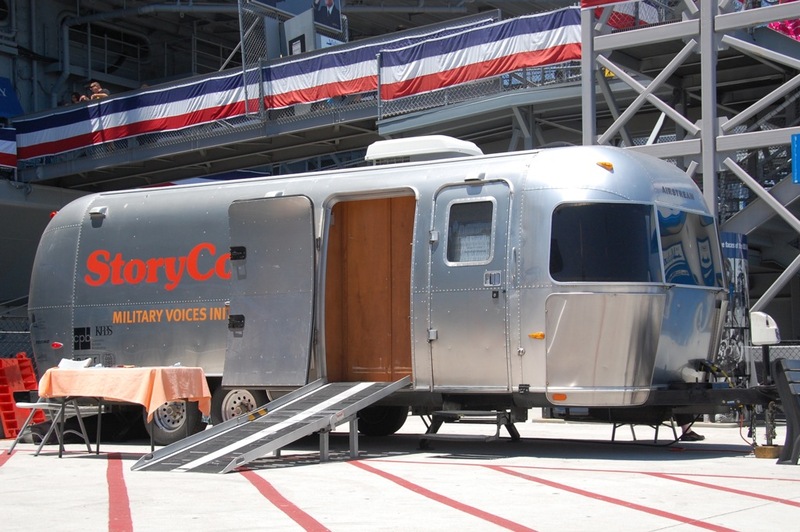 As we relaxed in the shade under oak and pine trees in front of our Airstream trailer while camping in the Cuyamacas, we listened to the KPBS-FM Midday Edition story, “StoryCorps In San Diego To Record Veteran’s Stories“, and we were thrilled to learn that StoryCorps would be using a modified Airstream trailer as a mobile recording studio in San Diego over a three-week period in June! 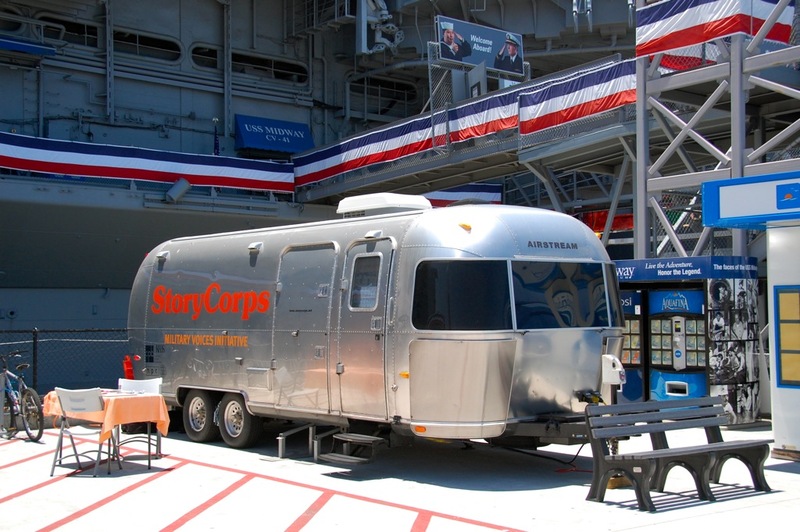 So with just three days left before they were due to leave, Larry and I visited the StoryCorps MobileBooth parked in front of the USS-Midway (CV-41)* and interviewed its Site Supervisor, Whitney Henry-Lester, who welcomed me aboard to do a photo shoot. 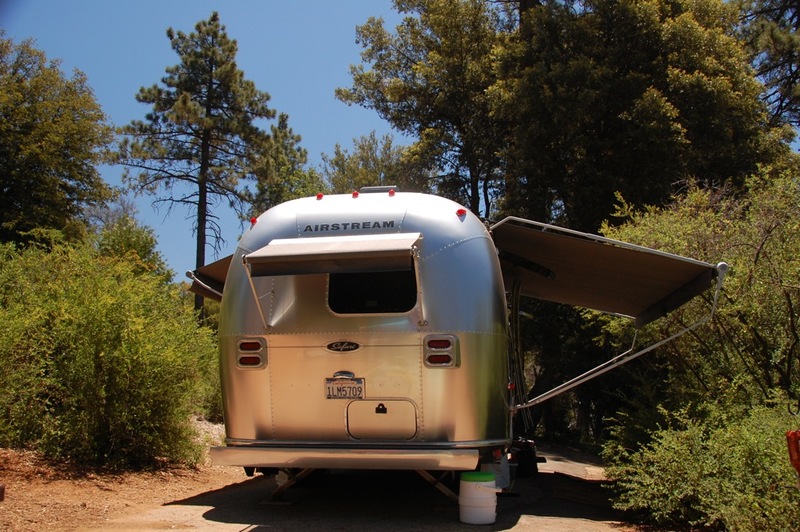 After updating our trip notes in my See More, Do More, Live More – The Airstream Travel Journal notebook, we hiked the Cedar Trail and noticed that there are new signs, including one that alerted us that we were “Entering Mountain Lion Country”. 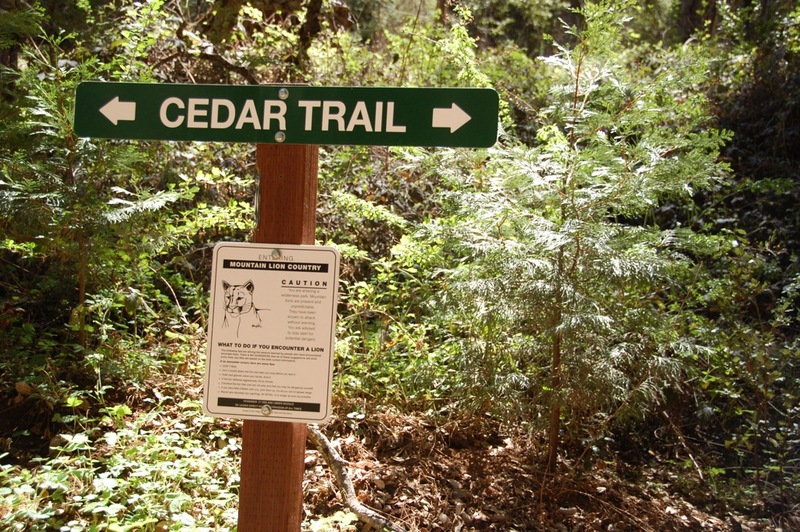 Cedar Trail is a one-mile loop trail that mostly stays under a canopy of oak, pine, and cedar trees representative of William Heise County Park, in San Diego, California. 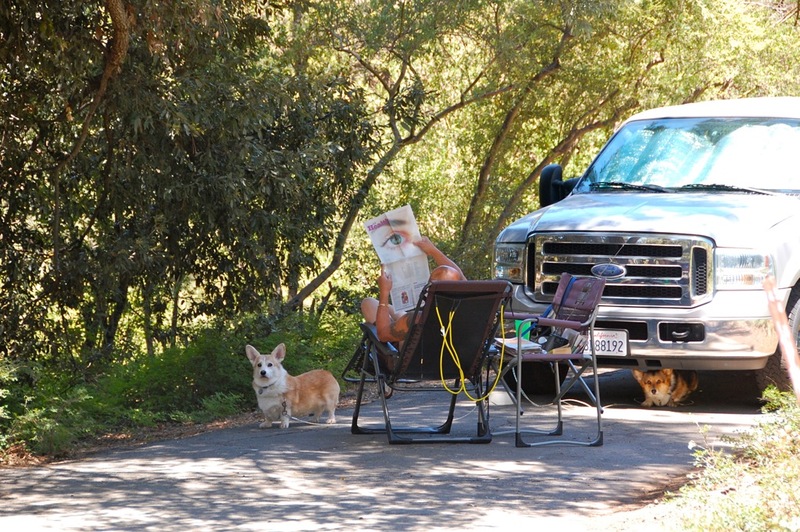 “Better to have campers take their dogs on the trails with a leash, than leave them alone at the campsite,” said the ranger. 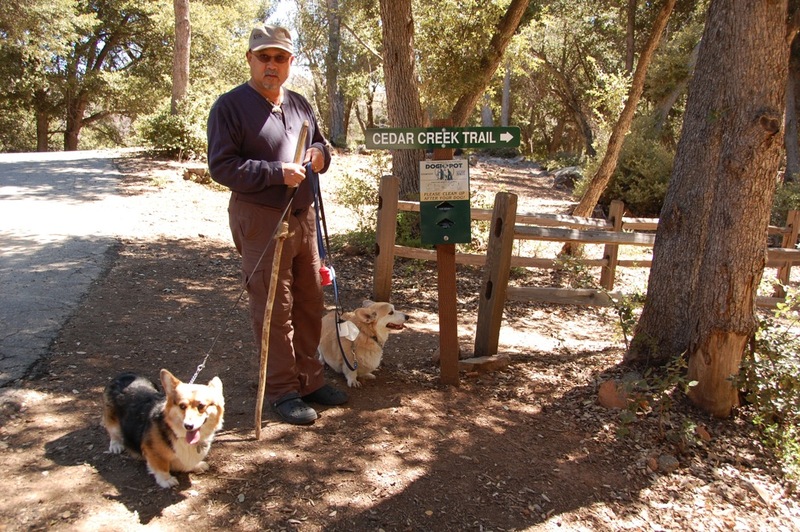 We were thrilled with this new and progressive policy and took our Corgis, Mac and Tasha, on their first hike on a county trail. 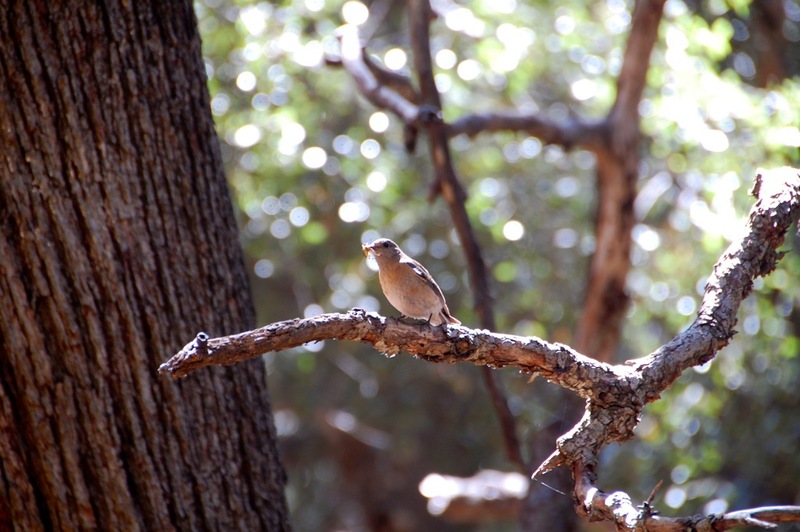 Keeping an eye out for mountain lions, we rested on a bench near Cedar Creek and marveled at the magnificent trees and chorus of bird sounds. Continuing on the trail, we saw dead oak trees killed by the goldspotted oak borer beetle, which has killed 80,000 oak trees in San Diego County over the past ten years. 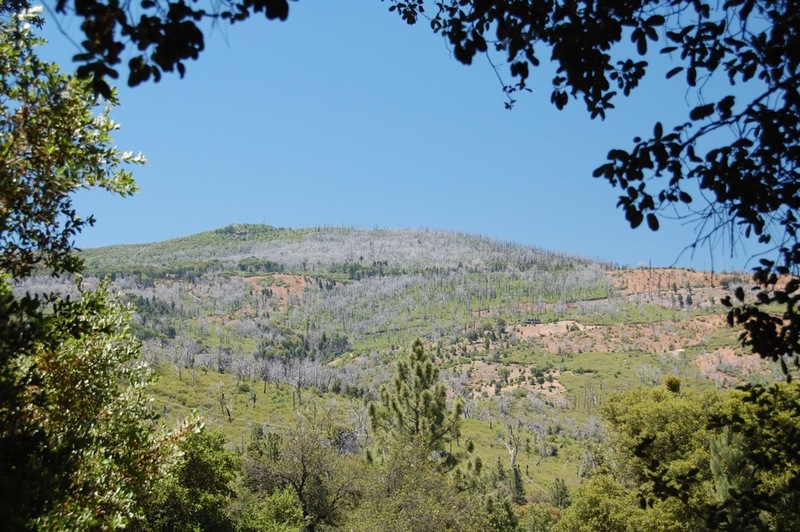 * The 2003 Cedar Fire has also taken a toll here, but we celebrated the re-growth of trees, such as the California incense cedar, Calocedrus decurrens, coming up through holes in the oak canopy. We also spotted wild turkeys in this park and noticed that they did not seem as plentiful compared to when we first camped here six years ago. 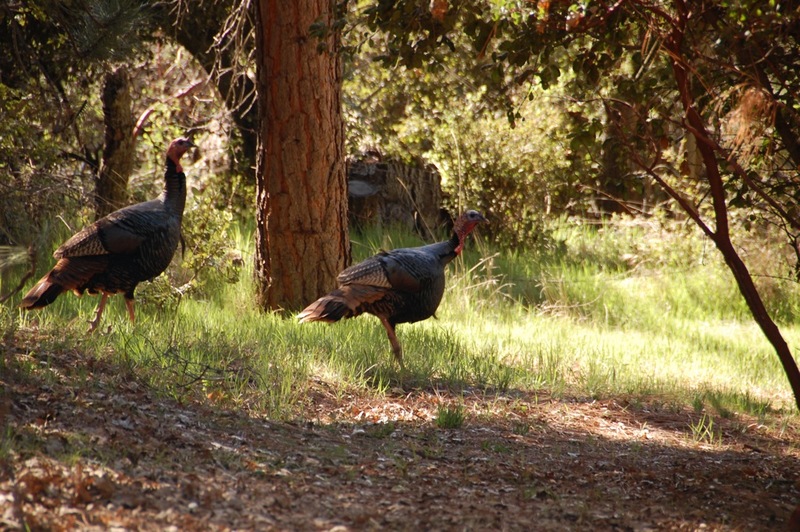 Wild turkeys are considered a good “indicator species” and may reflect the health of an entire ecosystem. 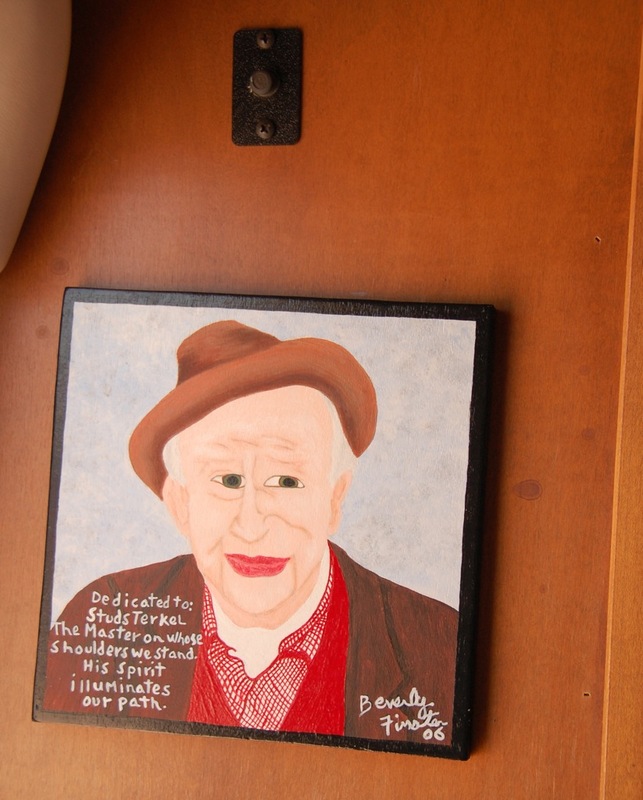 One of the trails from the Cedar Trail back to the campground passes by the cabin area. 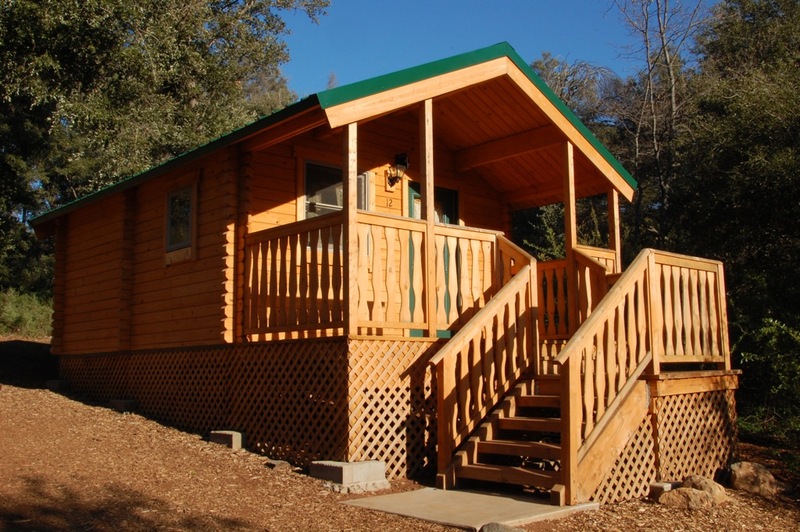 These new William Heise Park cabins* are aesthetically pleasing, blend in well with the environment, and do not block views or replace RV campsites. 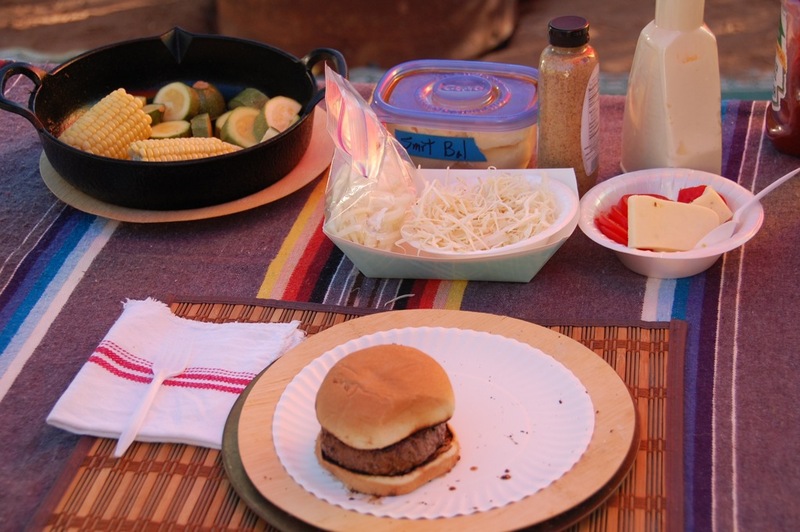 We returned to our favorite Airstream Safari campsite in this park and, even though we were tired, we smiled while we rested and cherished the memories of celebrating life* on Cedar Trail. 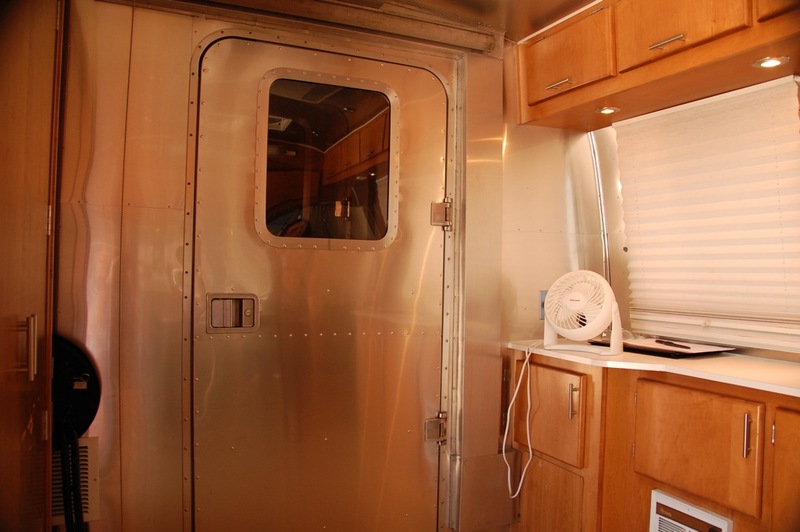 After cooling off at the beach, and rinsing off the salt deposits, our Airstream Safari was ready to get high again in the Cuyamaca Mountain Range that we visited just two months ago. 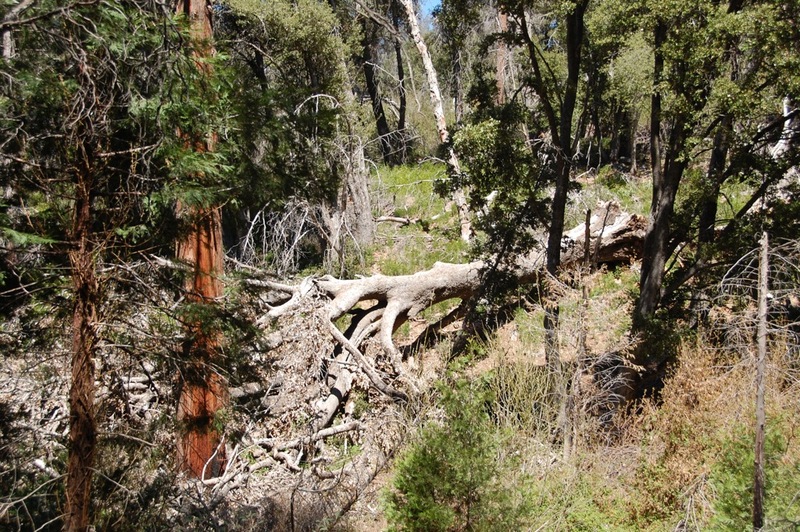 Last April, after a three year absence, we were curious to see how William Heise County Park fared after trees were damaged by wind and wet snow, and oak trees were killed by the Goldspotted Oak Borer. 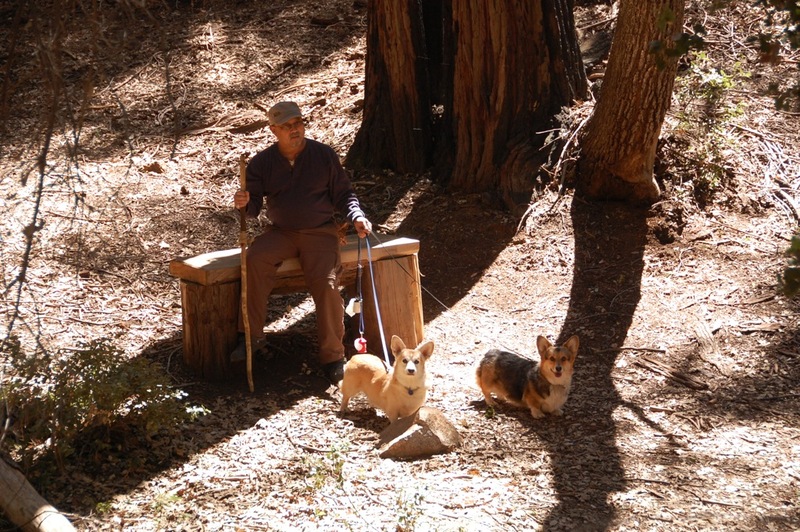 We were pleased to see that there were plenty of oak trees still surviving and many improvements have been made, including new picnic tables, beautiful cabins, and the surprise that dogs are now allowed on park trails. So on the eve of summer before temperatures peak, we returned for five days of camping in this beautiful forest setting surrounded by pine, oak, and cedar trees. Ten years ago the devastating 2003 Cedar Fire* burned approximately 70% of William Heise Park, which is now a showcase of a forest in various stages of re-growth. Chaparral is rapidly recovering, even though bleached white skeletons of black oaks and manzanitas are still seen on surrounding hillsides. With rainfall just 65% of normal, San Diego County firefighters are preparing for yet another potentially dangerous wildfire season. 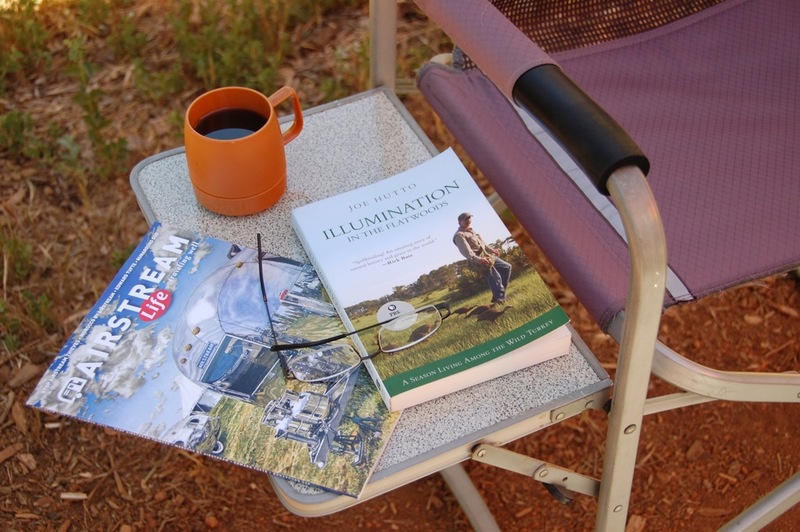 We positioned our Safari in our favorite non-hookup campsite for optimal sunbathing, which enabled our two factory installed solar panels to recharge our two Lifeline AGM batteries to 100% by mid-morning each day. 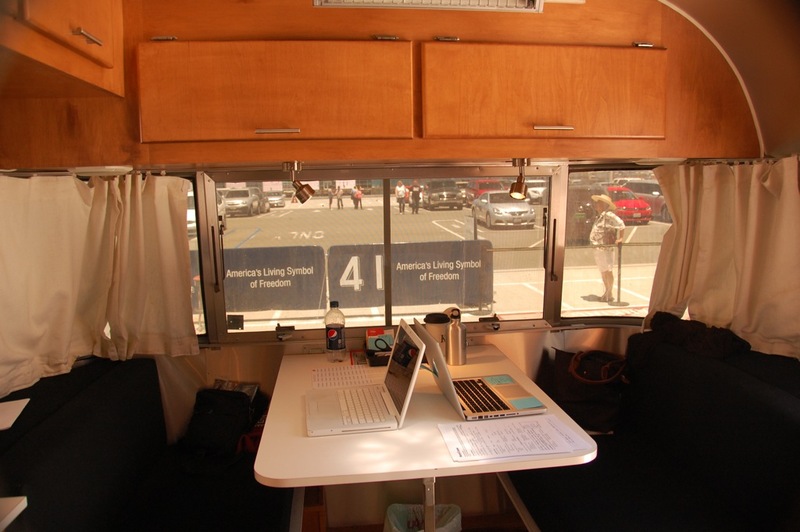 We had full sun all five days and the solar panels delivered a total of 193 amp-hours by the fifth day. 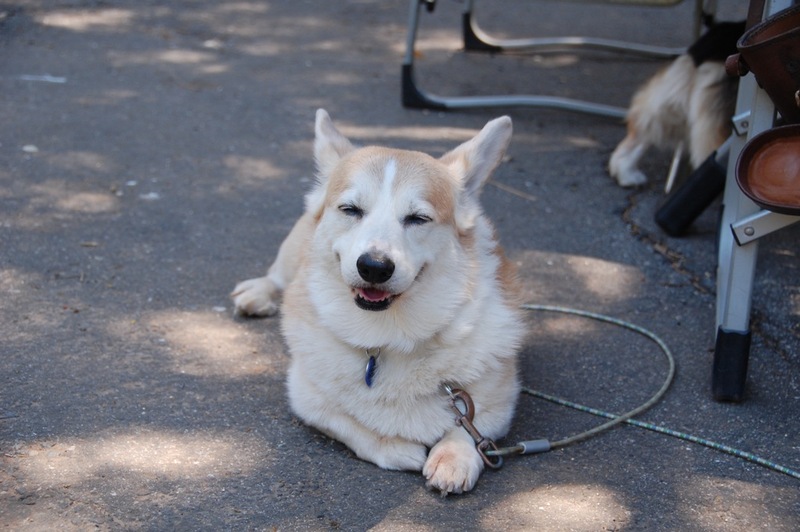 Each day began by walking our Corgis, Mac and Tasha. 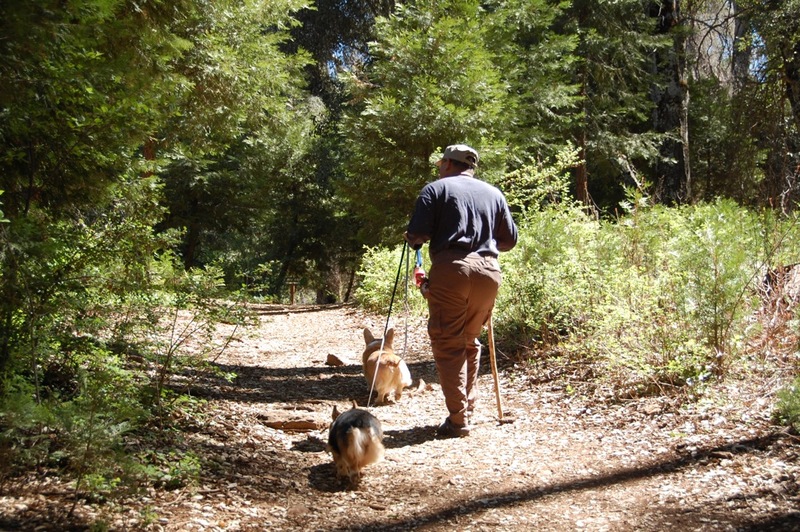 The ranger explained that the recent decision to allow dogs on trails in this park is based on the premise that it is better to have people enjoying hiking on trails with their dogs on a leash, than having dogs left alone at campsites.